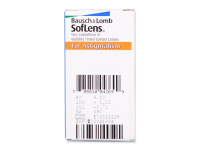 SofLens Toric contact lenses are designed to correct high levels of astigmatism. Their unique Quick Alignment System ensures stable positioning on the eye for sharp vision and optimal comfort. SofLens Toric contact lenses (previously known as Soflens 66 Toric) are designed to correct higher levels of astigmatism and produced by Bausch and Lomb. They are suitable for daily wear with a recommended replacement schedule of up to 30 days. SofLens Toric ensure sharpness of vision and all-day comfort, thanks to their advanced design and thin edges. 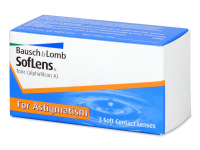 SofLens Toric contact lenses are sold in packages of three lenses. These contact lenses are also known as Soflens for Astigmatism. 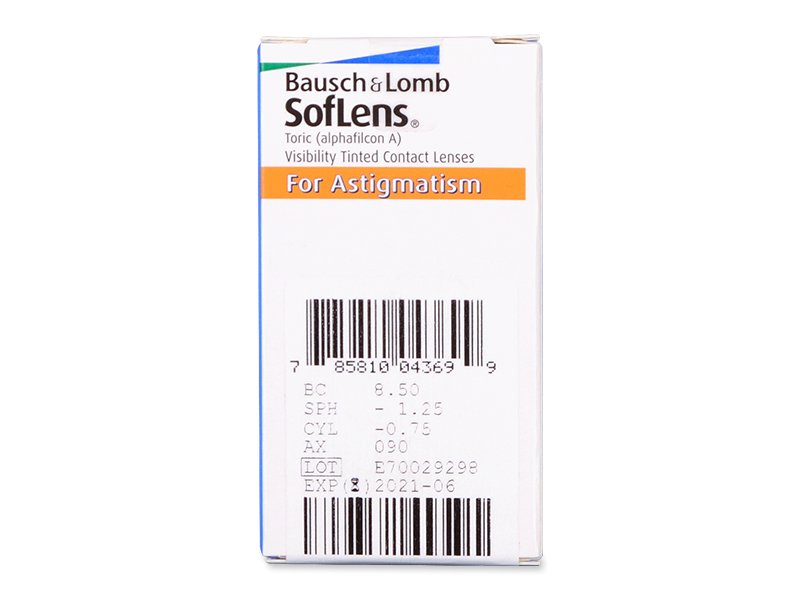 SofLens Toric lenses are equipped with the QAS (Quick Alignment System) stabilisation system to ensure their stable position on the eye. They don’t fit well. I can feel them in my eyes and I can’t see properly as they move every time I blink or move my eyes. These are going in the bin and I will not be buying again.